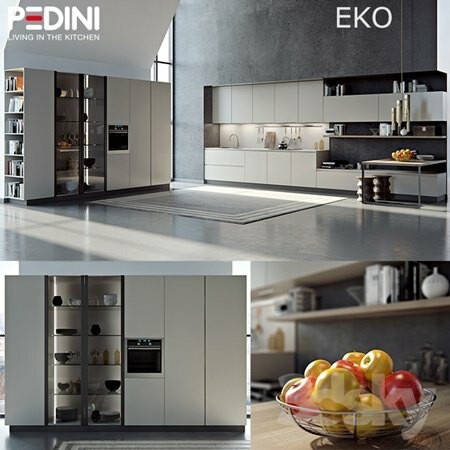 Pedini Eko kitchen with equipment and stuffing, made for V-ray 3.2 and above. There are: Sink, hob, oven, chandelier, decor, chairs, etc. 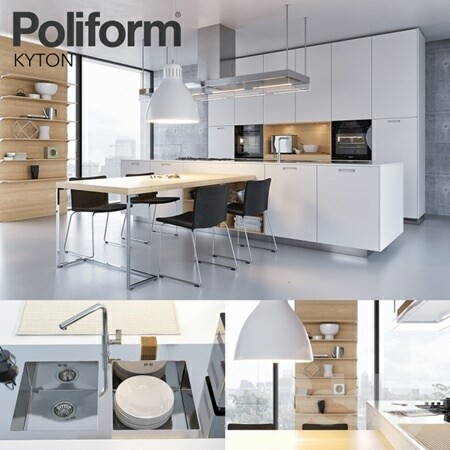 The Poliform Varenna Kyton kitchen with equipment and stuffing is made for corona render 1.5 and vray 3.2. Equipment includes: mixer, sink and hob Foster; Ovens Miele; The Kenwood Baker, as well as the scene contains: Poliform NEX chairs; Ceiling lamp Leucos The Great JJ S and all the decor. In the scene is 457K polygons. There are 25 mb high-resolution textures in the archive. The vray materials are properly configured. In version vray, BRDF of materials is installed in Microfacet GTR / GGX, vray 2.4 owners need to install BRDF in Blinn. 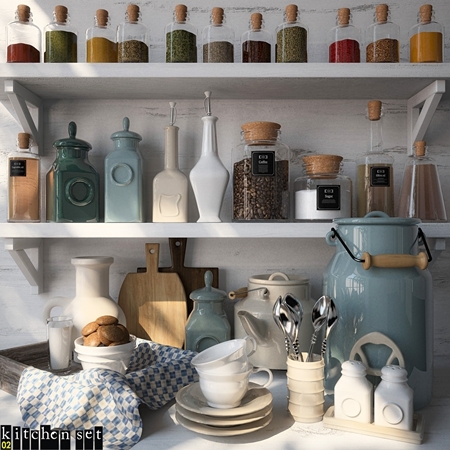 For Corona render, it is recommended to put version no lower than 1.5, since the glossiness of materials is adjusted to the PBR. THE KITCHEN IS SHOCKED ON MODULES, EASILY TO EDIT UNDER THE SIZE OF YOUR ROOM! Other kitchens can be found in my profile. Beautiful to you renders! 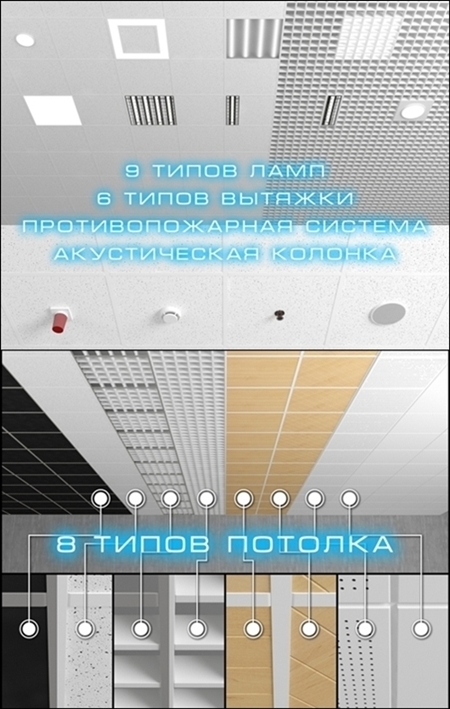 The model: – 8 types of ceiling Amstrng, including MDF and metal panels. – 9 types of lamps. – 6 types of hoods. – 4 devices of fire safety. – Column (speaker system). Panel size 600h600mm. On some models imposed modifier turbosmooth, change iterationy option to increase or decrease polygon. 2010 3dsmax vray + fbx. 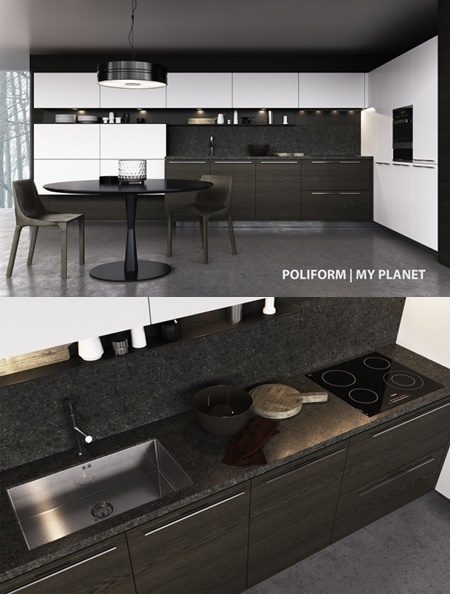 Poliform Varenna Alea kitchen with equipment and filling, made for corona render 1.5 and vray 3.2. 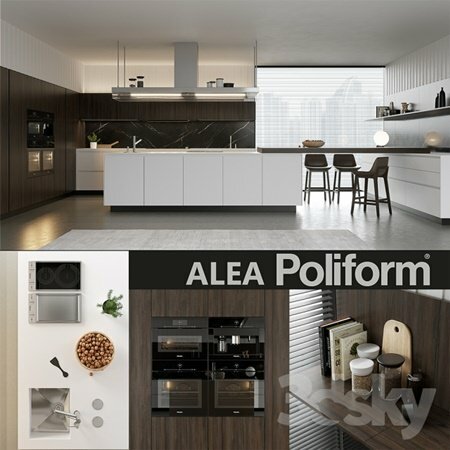 The equipment includes: washing, mixers and hob Foster; ovens and cooktops Miele, and the scene contains chairs Poliform Ventura and the entire decor. In the scene 554K polygons. 36 mb The archive of high-resolution textures. vray materials are configured properly. In version vray, BRDF materials installed in Microfacet GTR / GGX, owners vray 2.4 must be installed in the Blinn BRDF. 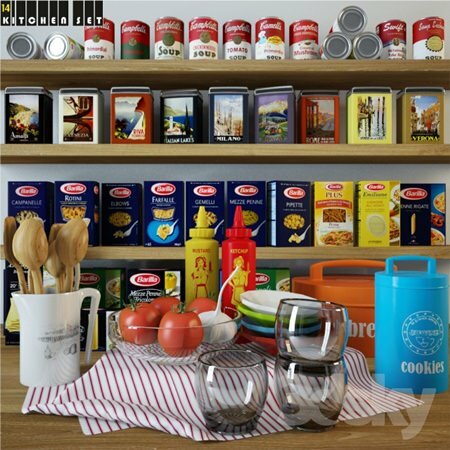 For Corona render, it is recommended to put the version not lower than 1.5, because the glossiness of materials customized based PBR. KITCHEN is composed of modules, easy to edit the size of your room! Other kitchen Varenna can be found in my profile. Beautiful renderings you! 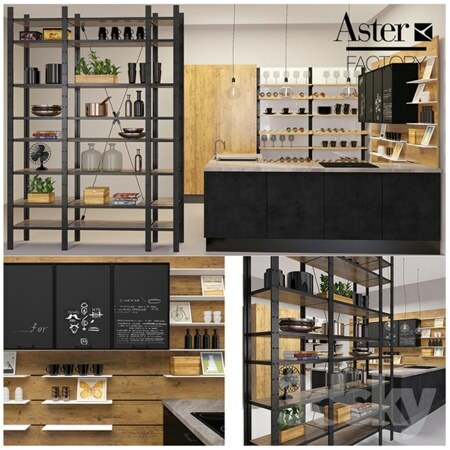 Cuisine Italian factory Aster cucine, model Factory. 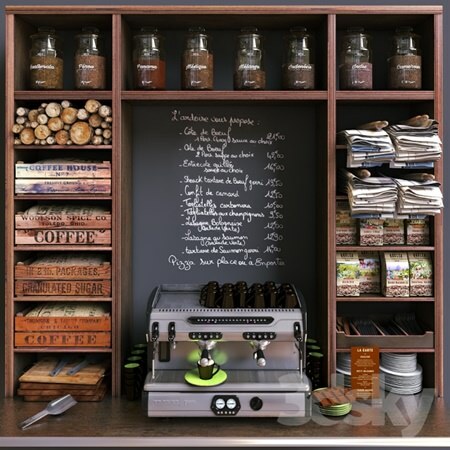 Facades and shelves – wood (rovere nodato) and metal (gun metal), as well as the chalk board at hinged cabinets, countertop -mramor (copper dune). Present accessories and fixtures. All objects are in the scene / Compatibilty 3dsmax 2009 + / Vray 2.4+, + OBJ, + FBX Objects shaders and textures well named (easy to manage), Power shader Vray, Gamma 2.2, Unit centimeters, UVWMap / Unwrapping, Not too many polygons, Based Point pivot or center (easy to place). QuadModelisation are based on the CAD original manufacture model.